Finding a pattern cutter right for the job at hand can be a daunting experience. Often people in the industry say that good pattern cutters are like gold dust. And once you find a good one – there is no guarantee that they will be free to take on your project. But, providing that you do some thorough research and check credentials, you should be able to secure someone who can do the job properly. The fashion industry produces a vast array of different products. These include, but are not limited to, trousers and skirts, evening dresses, tailoring, coating, and shirting. Underwear is also part of the equation, and let’s not forget the accessories market that includes footwear and handbags. Just as there are different types of items, there are also different types of pattern cutters. As a new brand keen to get your creations turned into a blueprint for your designs, finding a pattern cutter that is right for your particular needs is easy if you only know what to look for. Finding a pattern cutter as a newcomer to the industry can be difficult. Many often make the mistake of looking for any pattern cutter, assuming they can all do everything. Instead, pattern cutters are trained to specialize in different areas within the fashion industry. Should you find one that claims they can do absolutely everything – be wary. It would be safe to assume in such situation that they have not specialized in any particular area. Working with such a person could mean that your patterns are not as accurate as they could be, are not delivered on time or not delivered at all. However, it should also be noted that some clothing pattern cutters can produce patterns for soft-structured handbags. It’s important to check a pattern cutter’s credentials before hiring them. The best way to do this is to ask for a client list or a CV. Some cutters will have a portfolio and client testimonials on their website, so be certain to check these out thoroughly. A womenswear pattern cutter should be able to create patterns by applying two traditional methods used within the industry. Draping originated around 3500BCE and was a process that was originally used to transform a flat clothing design into a 3-dimensional form. It’s a method that lays bias-cut fabric onto a mannequin. The fabric is then pinned into place after shaping to fit. Design lines are then drawn onto the fabric prior to its removal from the stand. The shapes are then laid onto pattern paper and transferred. The second method, called flat pattern cutting or creative pattern cutting, is a more contemporary method. It’s a more precise method and much faster than draping, but it’s possible to combine both patterns cutting methods in one garment. For instance, jacket collars can be created successfully with the draping method. To create patterns on the flat, the pattern cutter will have developed a set of block patterns. These are basic templates devoid of any design details. They will include darts, for fit, but any fancier details will be added after the blocks have been traced onto pattern cutting paper. The blocks will never be cut up as they will be used time and time again to create new designs. Equipment used will include set squares, a pattern master, a plastic ruler, pencil and paper cutting scissors. Finding a pattern cutter who specializes in tailoring is important, as the knowledge and experience in tailoring processes and techniques such a professional can make or break the end result. These processes are very different to the ones that are applied to separates. For example, a tailored jacket will have many different layers and elements that create structure and shape and all of these garment sections will require a particular pattern. The reinforcements that are used to shape tailored jackets include horsehair and canvas. These reinforcements require pattern pieces for the different areas of the jacket. These areas include the sleeve head and hem area, underarms, front and back panels, lapels, collar and under-collar. A lingerie specialist should have studied contour at a design school such as the renowned De Montfort University in Leicester. They will have developed specialist skills such as grading and fit methodologies which would be applied to patterns created in the industry. Basic pattern blocks are used for contour pattern cutting but they are more acutely fitted to the body through the positioning of additional darting and shaping methods. Pattern cutting for contour also includes swimwear, corsetry, sportswear, bodywear, loungewear, nightwear and menswear. The reason this pattern cutter needs to be a specialist in “stretch” is that patterns here will be smaller and will reflect the fact that the fabric used will change shape once on the body. So the pattern needs to take into consideration the material to be used and how stretchy it will be, how it will fit on the body since there likely will be no darts used. A footwear pattern cutter will approach pattern cutting quite differently to a clothing pattern cutter. Footwear patterns are complex and will require a variety of pieces per section. 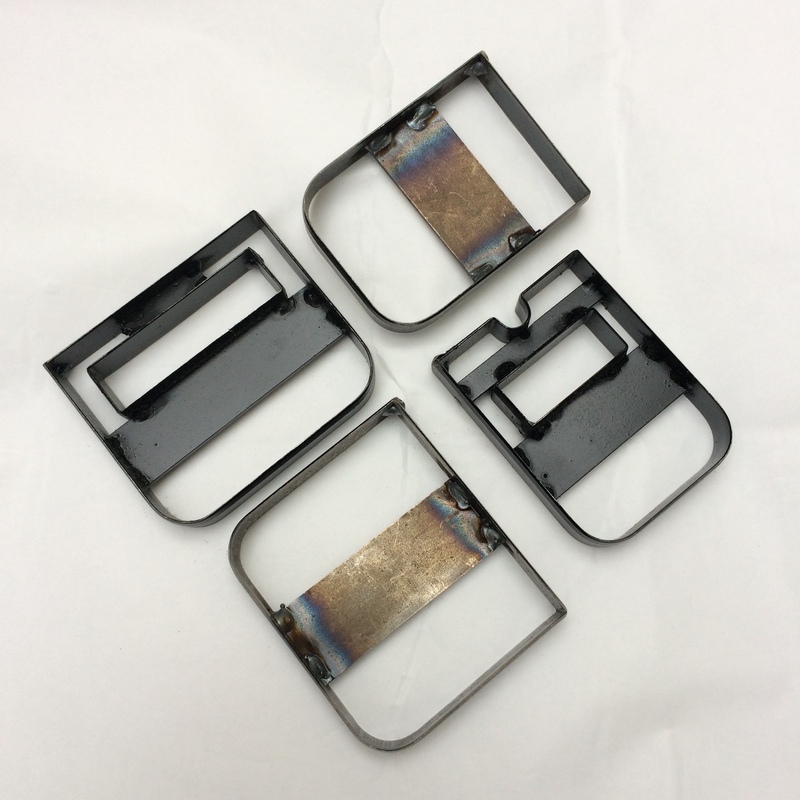 This enables the shoe to have reinforced areas within some areas of the product. A pattern is made by applying layers of masking tape to a shoe last with the design lines drawn directly onto the tape. A knife is then used to cut the shapes out. These are then laid onto a card and traced around. Pattern cutting equipment for shoes includes the following items; A metal ruler, cutters knife, awl, dividers and a bone folder. 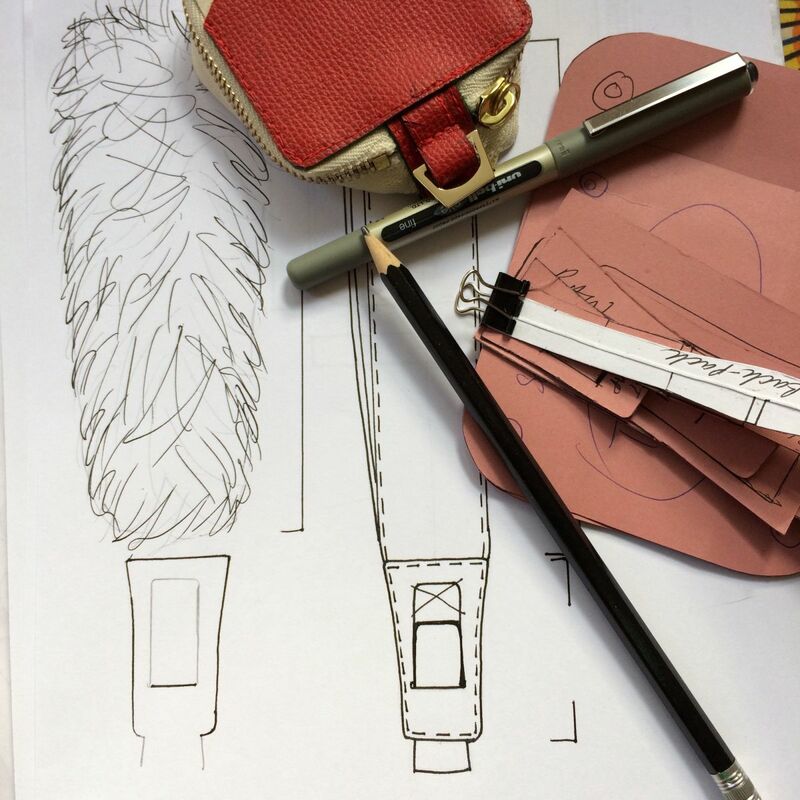 A handbag pattern cutter will have the skills to make pattern marks directly onto a card with an awl and then to cut out the pieces with a specially-made metal knife. Scissors are not traditionally used as they are not as accurate as a cutters knife. A leather pattern cutter’s skills will enable them to create a maquette (card mock-ups) of the pattern which will then be checked by the customer for further development. Once approved, a mock-up created in the final materials will be produced. Final amendments can then be made prior to the construction of the finished sample. When finding a pattern cutter who specializes in shoes or bags, be mindful that they need to have specialist knowledge of the types of materials used for these products. This usually includes leather, which is very different to a fabric. Extensive knowledge of materials is imperative, as it assures that patterns fit the end material, take into account wastage and mass production scaling up. In this day and age, it is relatively easy to find the right pattern cutter for your particular needs. There are many platforms that advertise their services. Once you have made contact, it’s important to supply them with as much information about your product as possible, stating what type of items you are hoping to develop. This way, you will avoid starting a working relationship with someone unsuitable. Utelier has a comprehensive list of Pattern Cutters on their platform. Other sources via which such specialists can be found are Gumtree and People Per Hour. They are great for posting adverts. Once you have had some responses via these two platforms, you could give each pattern cutter a small task in order to check their skill set. Instagram is also a good resource for finding pattern cutters. Look for profiles that specialize in home sewing and pattern making. If you are a student or recent graduate, tutors at your fashion school are also worth considering. They usually have a list of freelance pattern cutters and machinists with whom they work. A lot of pattern cutters secure work through word of mouth, so you could consider contacting designers whose work resonates with your aesthetic. You could also find a cutter through an agency but be aware that any hourly rate you pay also includes a commission paid to the agency, making this route rather more expensive than finding one directly. If you are a new to the industry, finding an experienced pattern cutter is a very good idea. An experienced specialist pattern cutter can develop patterns based on very simple drawings, such is their ability to interpret other people’s ideas. Should you, however, be in a position to provide detailed sketches with design lines, dart placements and front and back views, then your final costs could be less. Compile a Spec sheet which should include some key information: measurements for sleeve length, trouser or skirt length, the overall fit of the item, and whether it is loose or fitted. Include the type of material you’ll be using, particularly whether it is a stretch fabric or woven. Include as much information as you can, as that will enable the pattern cutter to render your design as close as possible to your idea. Finding a pattern cutter is easier in the larger fashion capitals. If you are not based in a mainstream fashion location, it often narrows your options and requires more work on your part. But if you are able to make sure that the pattern cutter has all of the above information, they will be able to work remotely. A benefit of working this way is that you may be able to find someone overseas who charges less than a local pattern cutter. The cons of remote work include the wait for toiles to be sent over for your approval. If any revisions are necessary and toiles are sent back and forth a few times, you will need to allow extra time for this and be prepared for extra expenses. Here is a fantastic list of questions you need to ask your fashion factory, before working with them. Next articleWhat is “Just In Time” Manufacturing? Should I Have a Pattern Ready Before I Contact a Factory?